Studying other languages shows us the similarities and differences between the ways we all communicate as human beings, opening up such great beauty. For example, German and Welsh among other languages seem to have an endless supply of compound words for complex concepts. As I study Japanese, I’m recognizing loan words not just from English, but also Russian. My previous studies also help in the noun declension–a practice that is foreign to American English grammar. When I made these, I completely lucked out. I found these foam heart cut-outs at the store that just happened to be the exact right size to fit into the palm of a hand. They also came with a little stand. The teachers loved this because they could stick them on top of their computers, desks, you name it. You were supposed to put a photo in them, but I just used the hole to address mine. They were $1 and I think I got 25. No need to fear, though. You can simply use hearts cut out of construction paper. That’s what I had the students I worked with do the next year when we made these. Trace your or your child’s hand onto one of the pieces of paper. Do it as many times as you can fit without overlapping. When I did this, I traced my hand every….single….time. In a day of 3-in-1 printers, that probably isn’t necessary. Just do one, and use the copy feature on your printer to copy the hands onto the skin toned paper. Cut out hearts. Mess around with the first one until you get it the right size to fit in the hands. Then use it as a pattern to cut out all the rest of them. Glue the hearts onto the palms of the hands. Bend the ring and the middle fingers down so they are holding the heart, but not covering it. Glue the two fingers down. Write your “To/From” info in the middle of your heart and you’re done! 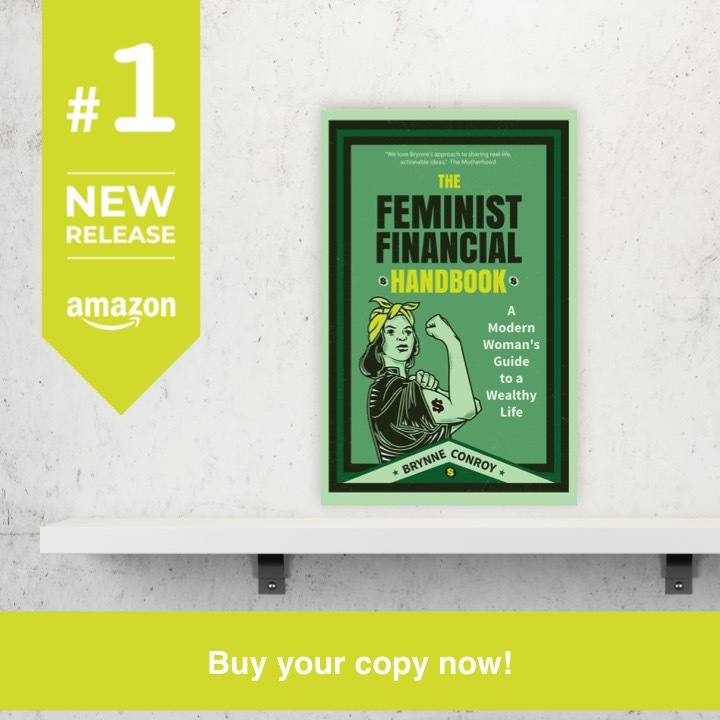 This entry was posted in Family Finance, Ways to Save Money on February 4, 2019 by femmefrugality. I love these ideas but alas I am too lazy to do valentines this year! I hear you. The last time I did them was when I was working in elementary schools. That’s Valentine’s Day at its best, as far as I’m concerned. This is so cool! I’ll have to remember this for when my kid is old enough! > Studying other languages shows us the similarities and differences between the ways we all communicate as human beings, opening up such great beauty. I learned more about English in my high school French class then I did in English class. Exactly! My understanding of grammar was helped so much more by foreign language study than language arts class. 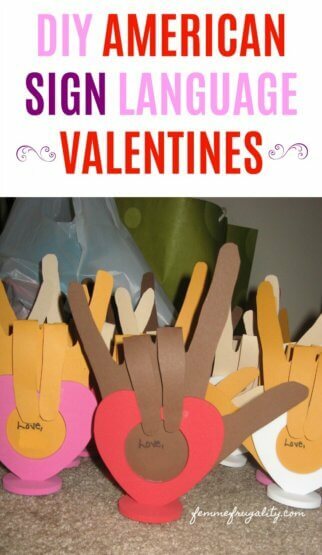 What a great and frugal way for kids to give Valentines! So much better than the pre-made ones you can buy in the store. This shows that time, effort, thought, and love went into the making! Truth! And it’s kind of like a handprint keepsake just without the “print” part. Haha. I love this! My daughter is taking a sign language course. I’ll share this with her: ) Sign language was featured in the last play I saw, and I’ve seen it used in a Christmas musical. It’s such a beautiful thing! It represents both beauty and power despite what most of us would consider the loss of something basic and essential – hearing. A sort of victory through adversity. That’s awesome! Your sign language up there is extremely closely related to ours. And agreed–it’s so beautiful. It’s interesting because culturally Deaf people view hearing loss as a strength rather than adversity–being Deaf gives you a different perspective on the world, and the culture really is beautiful, too. So sad that it was oppressed for so long–hopefully we keep making progress on that front.